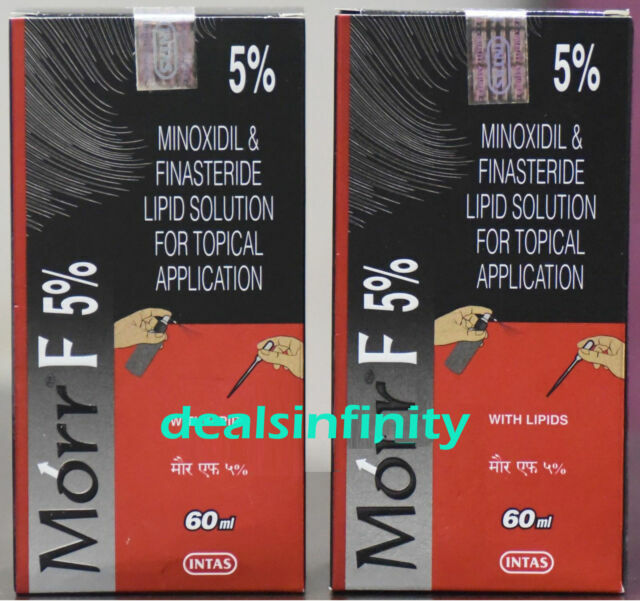 "Morr F 5 % Minoxidil Lipid Solution. About Morr F 5% Solution. Side Effects of Morr F 5% Solution. Morr-F containing the 2 active ingredients minoxidil and DHT Blocker used to halt hair loss and promote hair regrowth."